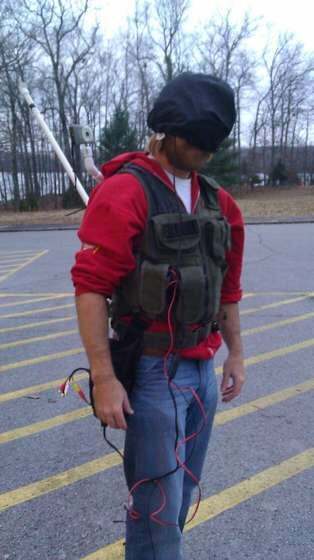 Third person "video game" rigs have been constructed and featured before, but this one's a wireless DIY version that's sure to freak out onlookers you pass by on your own personal, hooded 3D adventure across town. The build comes courtesy Instrucables user BigRedRocket. You literally see yourself, walking or running along, probably looking a bit awkward at first as your become acclimated to viewing the world as one big Gears of War adventure (hopefully without the shoddy voice acting and cliched storytelling).